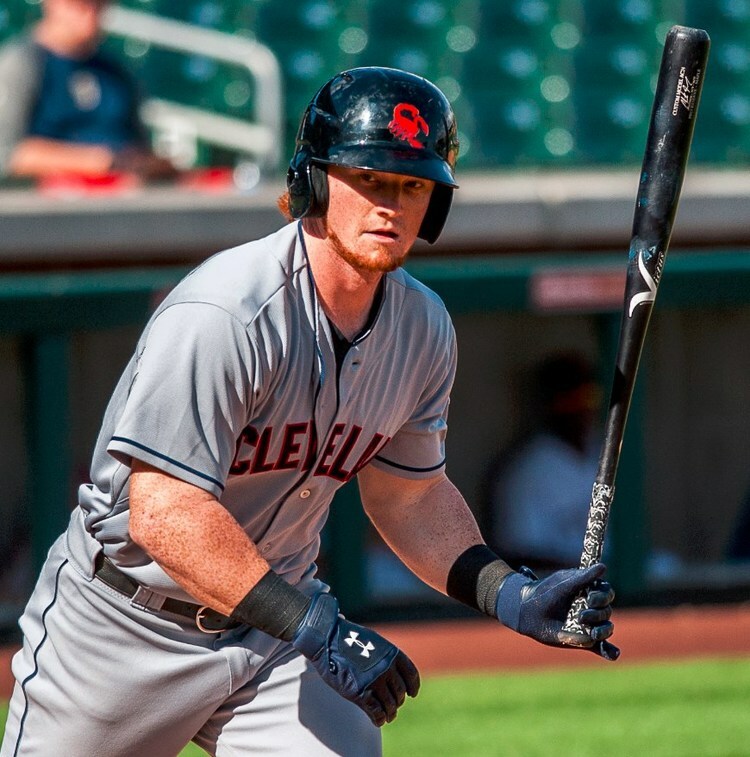 We’ll start it off with Indians #2 prospect Clint Frazier, who is swinging a Victus AC24 Maple with UA Epic batting gloves (discontinued) and a Lizard Skin camo grip. Frazier’s AC24 is a 34/32, and Victus tells WPW that the closest alternative that they offer stock is the HD13. To see if they will make you your own AC24, contact them through the website. 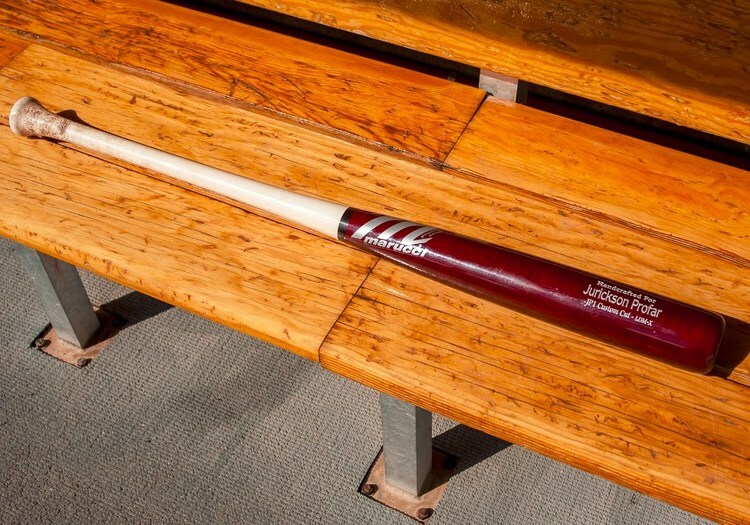 Lets fly through some bats… Tigers OF and #18 prospect Mike Gerber also swings Victus, a CU26 Maple 33.5/31 that is available at the link. Jurickson Profar on the comeback trail and swinging his 33.5/31 Marucci JP1 maple, which is similar to an I13. 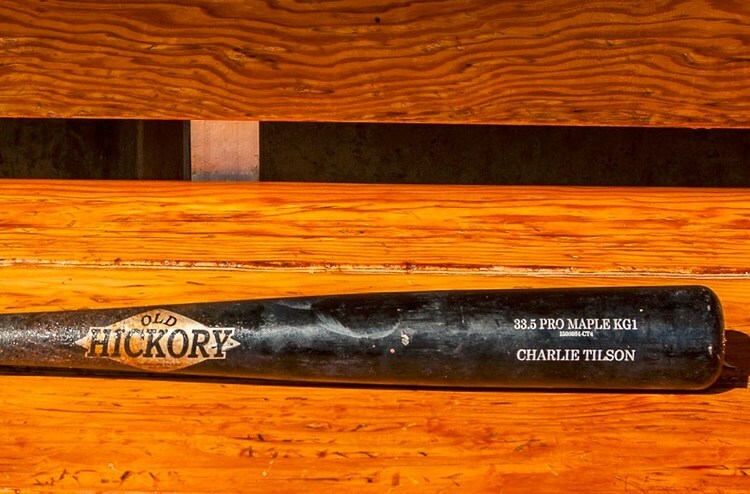 St. Louis OF prospect Charlie Tilson swings a 33.5″ Old Hick KG1, which is cut to the C271 profile. 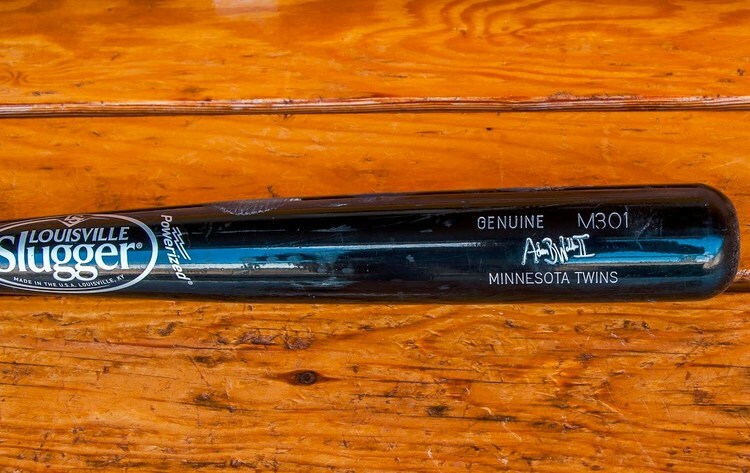 Twins outfielder and #10 prospect, Adam Brett Walker has driven in 17 runs in 18 games with a Louisville Slugger M301. 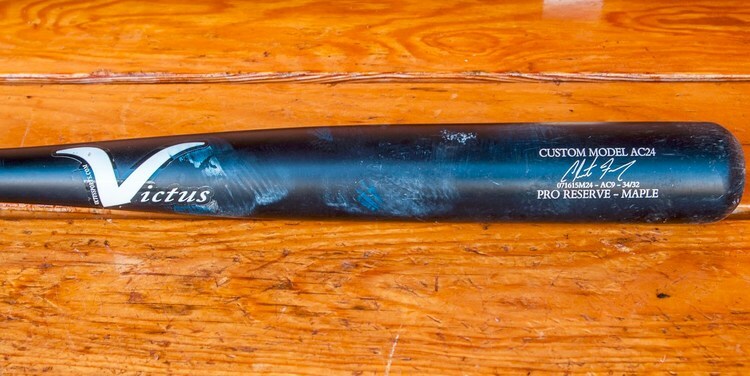 Yankees SS prospect Jacoby Jones swings the Marucci AM22 Maple (McCutchen), which is very similar to the Cutch22. Red Sox 1B and #9 prospect Sam Travis is batting .321 in the Fall League with the Dinger ST-1. 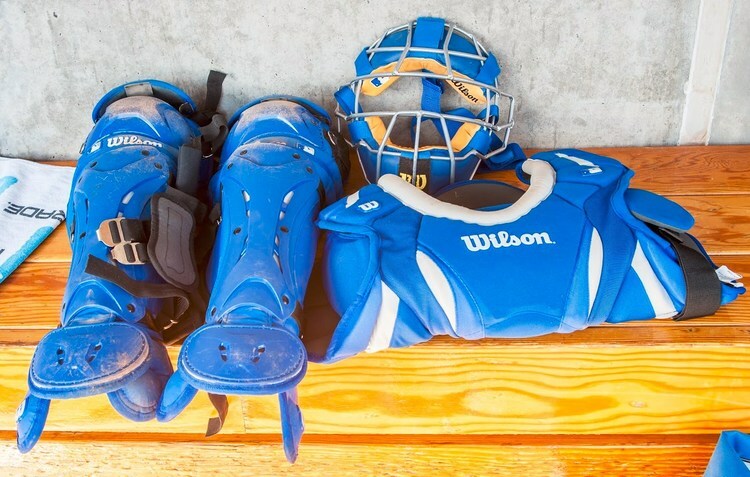 Zane Evans, Royals catching prospect, wears a Wilson Promotion chest protector almost exactly like the one at the link. He’s also got the Promotion leg guards. Evans looks like he’s got a custom titanium mask from Wilson. We asked Wilson about it, but they didn’t have much info on it. Otherwise, the closest alternative is the Dyna-Lite from Wilson. 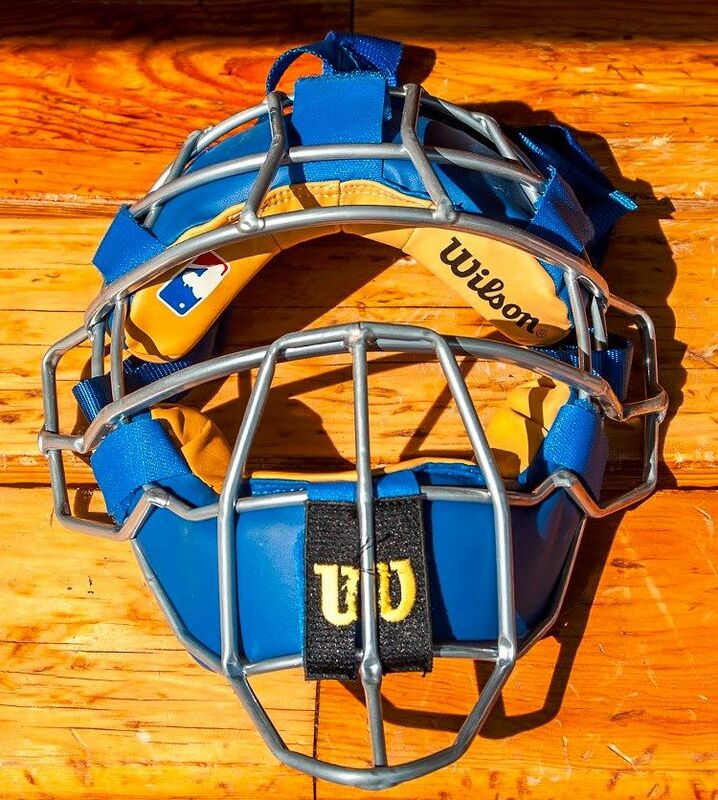 WPW reader Kevin brought it to our attention that the metal cage is an All-Star System 7 FM4000 traditional mask with Wilson padding and branding. Evans probably put those on to honor his agreement with Wilson. 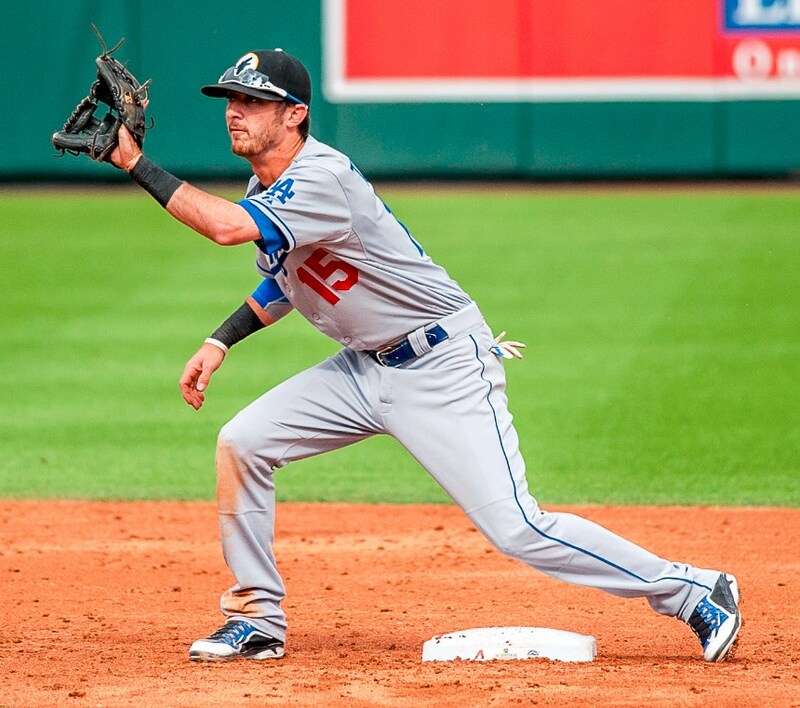 Adam Engel, outfielder and White Sox #17 prospect, is leading the Fall League in hitting (.403) and OPS (1.165). 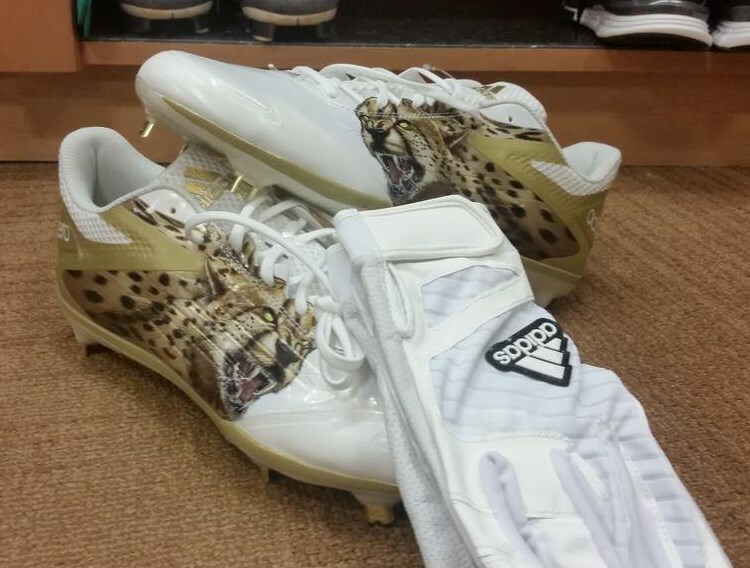 He posted these adidas Afterburner 2.0 “Uncaged” cleats and Excelsior batting gloves to his Twitter account recently. Engel is wearing the Excelsior gloves, but he’s opted for a more conservative colorway (black/white) of the Afterburner 2.0. He’s also wearing a padded sleeve, but we couldn’t figure what exactly that is. Brandon Trinkwon, infield prospect for the Dodgers, is wearing some SICK Swingman MVP 2 cleats, which you can shop for on eBay for cheap. Trinkwon’s colorway is available through Dicks Sporting Goods (thanks to WPW reader Tony for pointing that out). 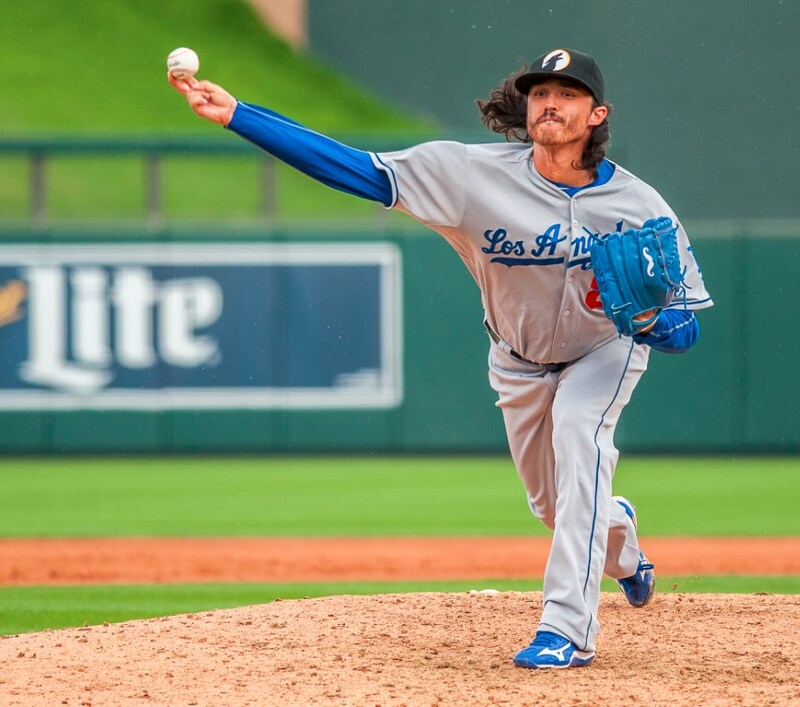 Dodgers pitching prospect Ralston Cash isn’t rocking his Rollie Fingers-style ‘stache on his face anymore, but he’s still rocking the ‘stache on his Gloveworks custom glove. Cash and Gloveworks have teamed up to support Cash’s own foundation, which raises money better the lives of kids who have lost a parent to cancer. 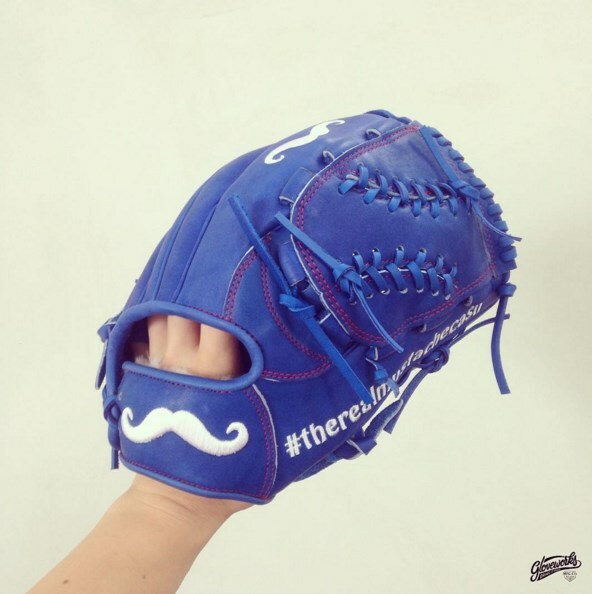 If you put a mustache on a custom glove from Gloveworks, they will donate $10 to the Ralston Cash Foundation. Gloveworks level of customization is unmatched as far as we know, and they start at $99 which is unbeatable. Give them a look if you’re considering decking out a glove.